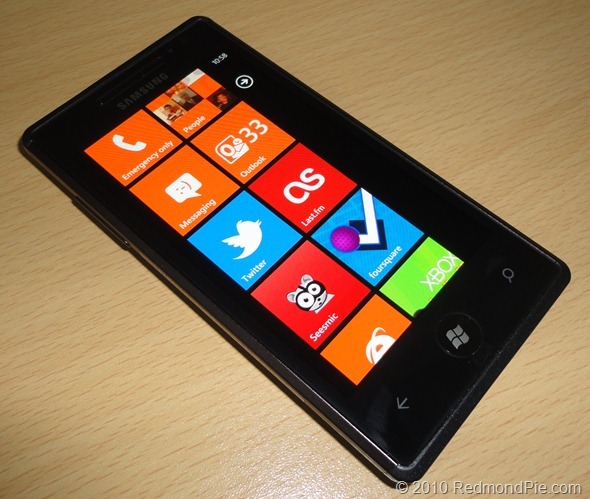 Microsoft sold over 2 million Windows Phone 7 (WP7) powered devices during the last quarter according to Greg Sullivan, senior product manager at Microsoft. Sullivan told Bloomberg’s Dina Bass that the company’s latest attempt to regain mobile OS market share currently boasts a 93% customer satisfaction rating and that the Redmond outfit sees that as a key indicator as to how well the platform can do in the long term. When speaking of developer support, Sullivan also pointed out that there are currently 24,000 developers signed up to develop for the platform with 6,500 applications available so far. While Microsoft aren’t so keen on talking about sales numbers, Apple appears to have no such problem with the company selling 16.2 million iPhones in the quarter ending December 25th. Google’s Android platform also continues to gain market share, leaving Microsoft with an uphill struggle to regain consumer confidence following a dismal display over recent years. The early signs are quite promising for Windows Phone 7 however, with many industry pundits saying that the fledgling operating system is a good foundation to build on, assuming the application library continues to grow. With Microsoft able to link Windows Phone 7 to its Xbox LIVE service, it may just have an edge over its competitors. It remains to be seen if they can use that edge to their advantage enough to take on the big boys at Apple, Google and Research In Motion.